I am an Integrative life coach, LCSW (Licensed Clinical Social Worker) aka therapist, & Certified Transformational Breath® Facilitator/Group Leader, who will inspire your return to radiant wholeness utilizing intuitive inquiry, Transformational Breath® as well as many other modalities. I specialize in working with people like you who desire a lifestyle based on freedom, connection, abundance and well-being. Drop down deeply inside yourself to trust your intuition that longs for your embrace. Embrace and accept ALL parts of yourself as they are what make you uniquely stellar. Learn self-empowering exercises to enhance clarity of thought and focus. Foster harmonious relationships with those around you and be a power of example for them to see their truth. If this speaks to you, your best first step is to contact me to see if we are a fit. I was raised in a household that emphasized many wonderful qualities but for some reason, the message I mostly heard was, “Money equals happiness! Money equals Happiness.” So I did the logical thing and went to work on Wall Street and made a six figure income in my twenties. I had the title of Vice President and all the accolades that went with it, but I was far from happy. There was another part of me which kept calling. Since I was a little girl, I had “knowings” (ie. premonitions). Not big things… little things. I discounted it all to be self-fulfilling prophecy. I did not see this as “extraordinary” or validate this quality. My soul’s quest was not to remain on Wall Street. I was miserable, anxious, depressed and confused. I was sitting up in the middle of the night dry heave crying from physical pain (recent car accident in which I sustained neck injuries) & the emptiness within me. All of a sudden, there was a wave of calm that washed over me and released all of my emotional and physical turmoil in one complete second. It was miraculous! The calm was coupled with a voice speaking in terms I would understand (I liked and still do like very clear direct expression). The voice said “ There is good news and there is bad news (the bad news was my perception that it was bad news. It wasn’t really bad news). The good news is that you have the power and all you need within you to pick yourself up from your bootstraps. The bad news is that it is “YOU” that will do it and we are here to help and guide you.” I thought of that as bad news at the time because I wanted someone/something to do it for me. I wanted to relinquish responsibility for my happiness. That is not reality at all!!!!! I learned that I co-create my reality. It was years later when I actively cultivated my connection with my Inner Guidance & Wisdom which dramatically reduced the experience of feeling pervasively “alone”. I followed that intuitive voice and made a dramatic shift to become a Licensed Clinical Social Worker, LCSW, and worked psycho-spiritually for 12 years with people transitioning out of life (aka dying as most people reference it). I started out making $29k per year. A dramatic shift in income. Nevertheless, everything fell into place and all the things on which I placed my attention on manifested. I started practicing yoga, Chi energy therapy, breathing techniques and utilized those concepts in my professional & personal life practices. Yoga saved my life and now, decades later, I still practice. This was a period of introspection, unfolding and allowing. Happiness isn’t some mythical feeling or thing — it is a real place. What I discovered was that money had nothing to do with it. I am not saying not to desire money. That is perfectly fine and there is no shame in that. 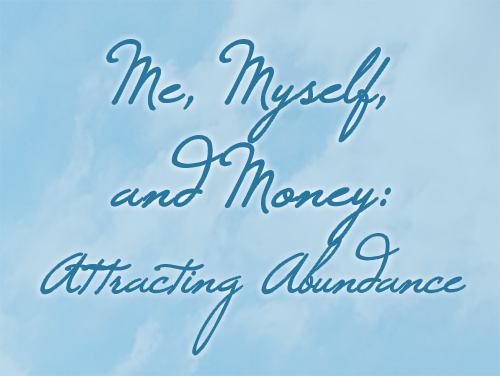 Money can be an outward manifestation and a reflection of our self-love and self-worth. I’m saying that abundance has to be an inner reality first through the energy of our thoughts , feelings, and subsequent inspired actions. Creating an abundant inner world will lead to external prosperity if you want it. What I want to do is show you how focusing on abundance and freedom can help you create a lifestyle by your deliberate design. In other words, dreams don’t have to just stay dreams. You have power through your focus backed by your personal intention. Perhaps you just need a little guidance in how to use it productively, lovingly and joyously. When you are in alignment with your authentic higher self, your energetic essence will emanate those qualities through your body, thoughts, feelings, relationships and work life! You will feel a peace, a calm, an exhilaration, an expansion, a curiosity and interest in living so fully that it will bring tears of joy to your eyes. For you have come back home. You have remembered who you truly are and that is glorious! I have the ability to identify and see the potential in people and hold that mindset and space for them until they come up to speed with who they really are. 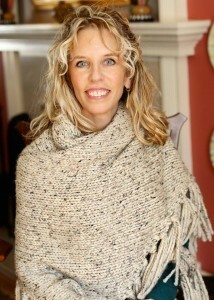 I am your coach, encouraging, strategizing and fostering your potential! I will DELIGHT FULLY IN YOU UNTIL YOU DO IT FOR YOURSELF. Click here to contact me and get started.